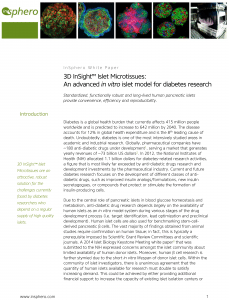 The homogeneous cellular composition, organotypic function, and long-term viability of 3D InSight™ Islet Microtissues make them an ideal model for studying pancreatic islet function, regeneration, and preservation in healthy and disease states. Our services team will work with you to design and implement a custom study package tailored to your needs. 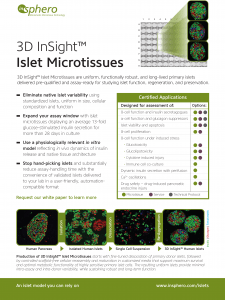 discovery with 3D InSight™ services.